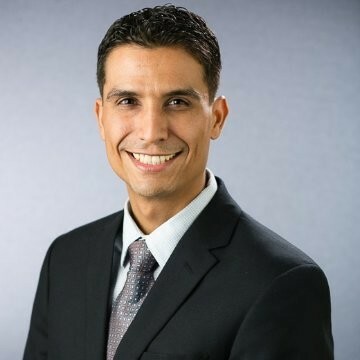 Paul Madrid earned his BBA in Finance from the Anderson School in 2006. He currently works at REDW and serves as the Chair of the Anderson Foundation Board. Let's learn more about Mr. Madrid. My guiding philosophy is treat others as you would like to be treated. Treating all people in a kind and respectful manner creates a positive and open environment. Keep things simple. Being simple helps in many aspects of life and business. If people can understand what you're saying in simple terms, then they're more likely to engage and apply what they heard. Dr. Vora's Derivatives class. It was my first semester taking a finance course and Derivatives was the only option available. Given my interest in the topic, I signed up. Come to find out, it was the most difficult course with confusing concepts for finance students. Fortunately, with Dr. Vora's guidance I was able to learn enough about derivatives and pass the course. Years later, after I had a much better understanding of derivatives, I finally realized that I had no clue what I was doing in Dr. Vora's class! What tools learned during your Anderson experience have most prepared you for professional success? The education I received at Anderson helped me to understand how business works, and more importantly, how to apply what I learned. I remember taking finance courses at Anderson and taking the time I needed to really understand what I was learning. Fortunately, that skill and the knowledge that I gained helped me to earn advanced certifications and move up the ladder in my organization. What community service activity makes you proud? Helping students understand what their opportunities are in the workplace and providing them with realist expectations. When I first started working after getting my degree in Finance, I feel like I learned through experience and could have selected a better career path had I been more informed. As a result, I like to share my experiences with students to help them in their career paths. It's a great feeling to hear back from students after they've selected their career path and their appreciation of my time and input. Think differently. Our economy is changing with technology and we need business leaders who think differently. Leaders need to be more nimble, flexible, and forward looking. Businesses and careers that exist today may be completely different in the future or may not exist at all, so looking forward and understanding what could become should help you in your career and/or business.